Flowering - Nearly all year along the coast. Spring - fall elsewhere. 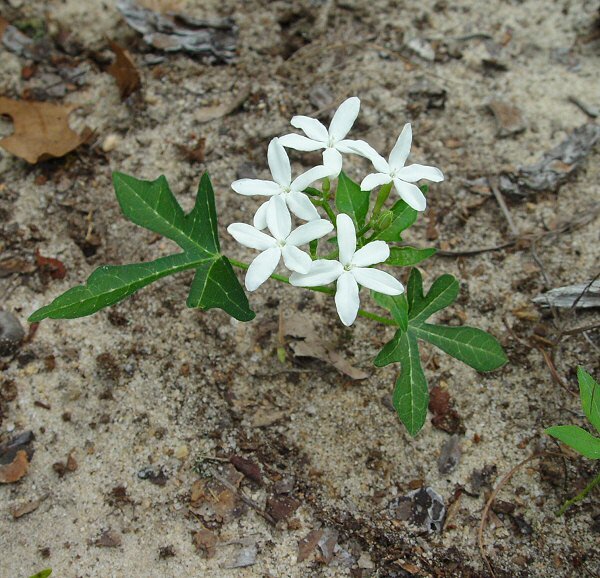 Habitat - Sandhills, beaches, scrub, dry hammocks, dry pastures, fields, roadsides. 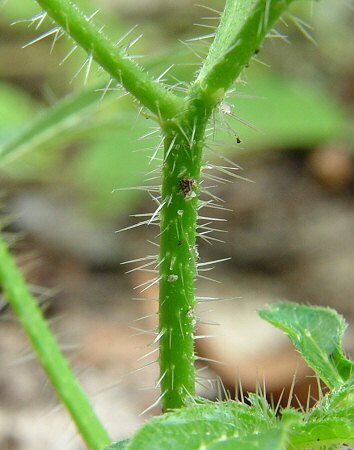 Other information - This attractive but painful species can be found mainly in the southern half of Alabama. 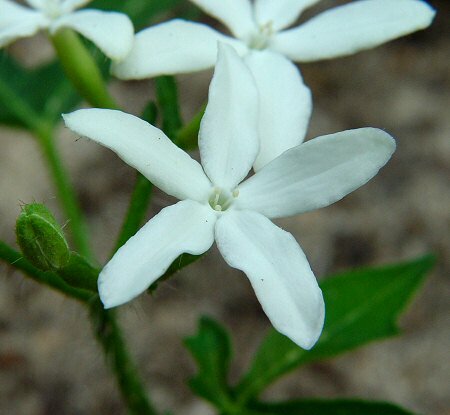 The plant is easy to identify becasue of its big white flowers, three to five-lobed leaves, and painful stinging hairs. 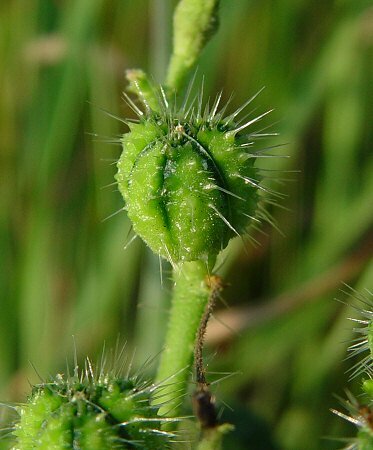 The genus name Cnidoscolus derives from the Greek "cnid(o)" meaning "a nettle" and "scolus" meaning "a thorn." The species epithet stimulosus derives from the Latin "stimul(us)" meaning "goad (prod, to urge, a stimulus)." Photographs taken off Lee Rd 10, Auburn AL., 8-24-04.